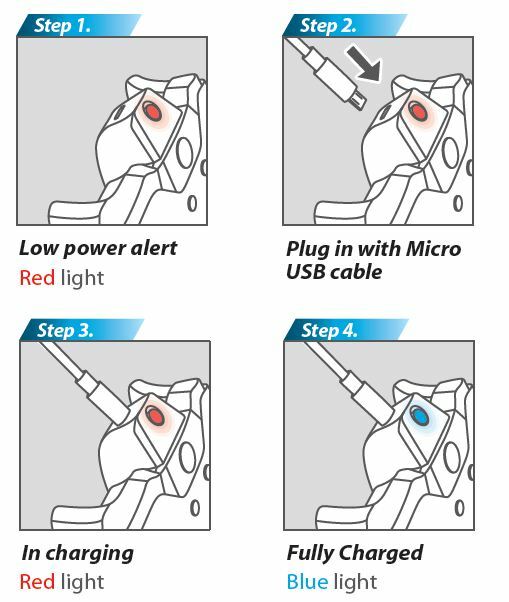 Turbo function availbale buttons : A、B、X、Y、LB、RB、LT、RT、LTSB、RTSB、Paddles(1、2、3、4), In tatal 14 buttons (refereed to as FK). 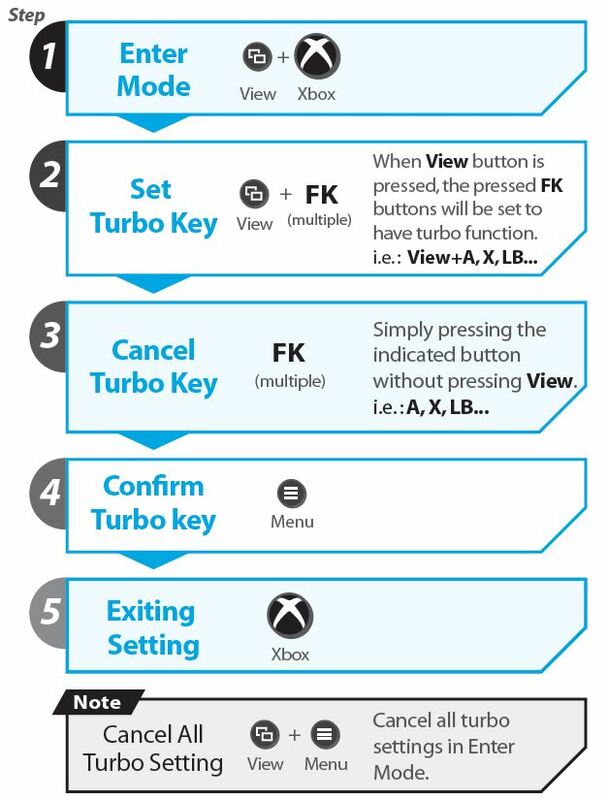 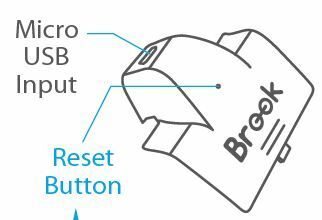 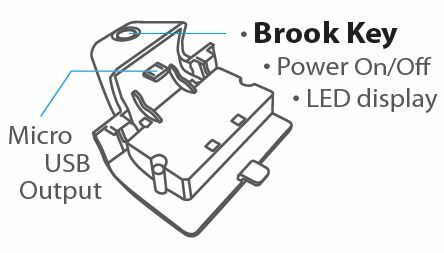 *Press Brook Key + Menu (LED display will do off) to save the Turbo setting. 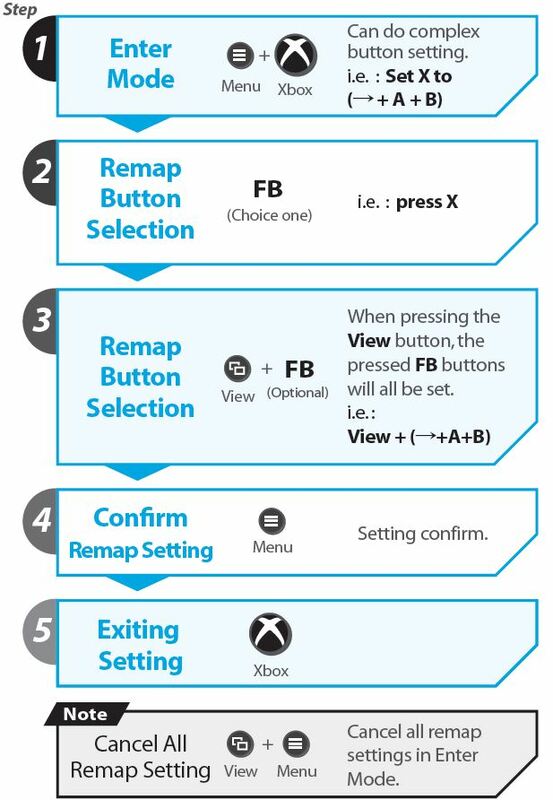 Remap function available buttons : ↑、↓、←、→、A、B、X、Y、LB、RB、LT、RT、LTSB、RTSB, in total 14 buttons (referred to as FB). 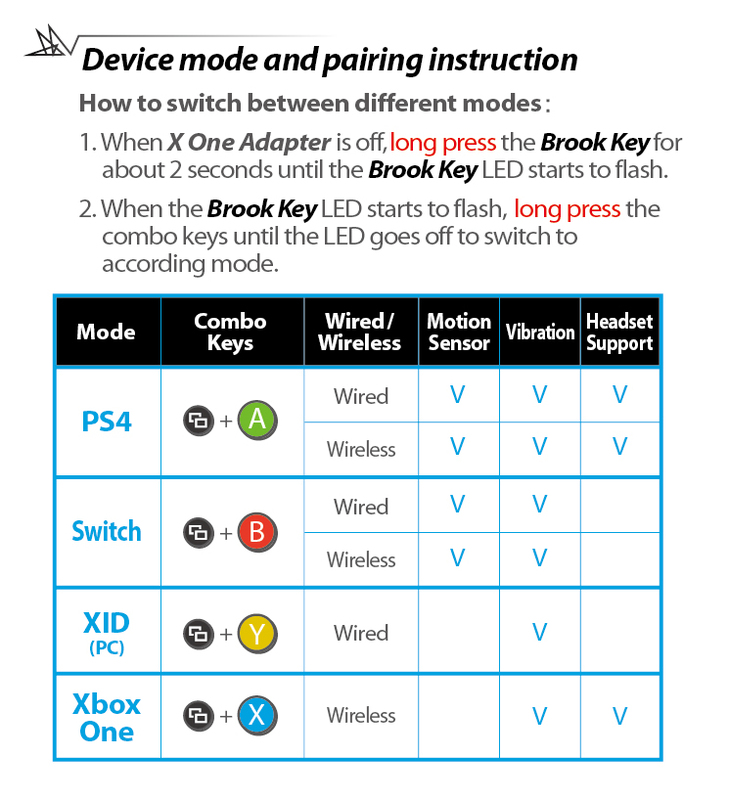 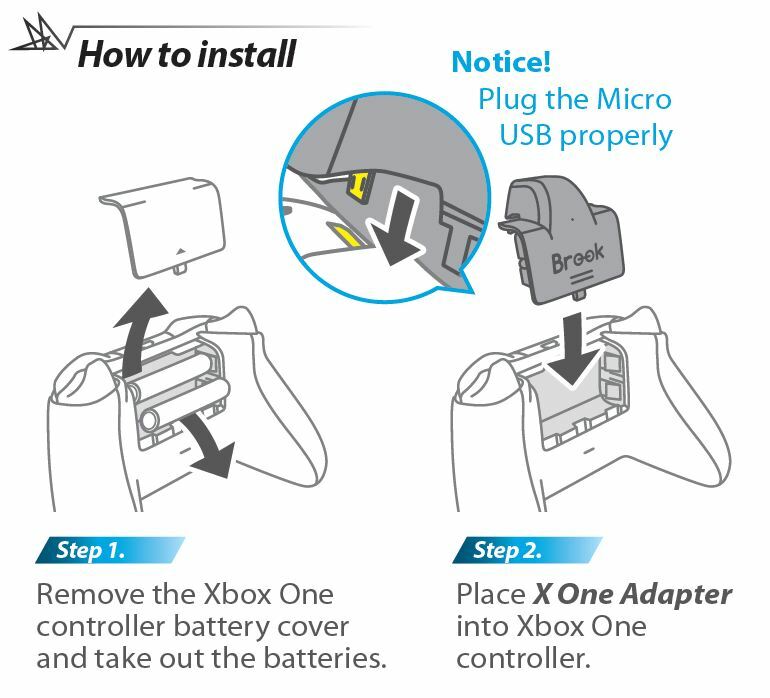 X One Adapter | Wireless function.